The eight-man field at the ATP World Tour Final has been whittled down to two. No. 3 seed Roger Federer will face World No. 1 Novak Djokovic for the trophy on Sunday, having booked a spot in the title match with a 7-5, 6-3 triumph over countryman Stan Wawrinka at The O2. Djokovic defeated longtime rival Rafael Nadal 6-3, 6-3 earlier on Saturday in the other semi-final. Federer holds a slight 22-21 edge in their ATP Head to Head meetings, having defeated the Serb this week in Group Stan Smith play 7-5, 6-2. "It's the same conditions, same court, same place," said Federer of his re-match with the top-ranked Djokovic. "For me, it's an advantage because I guess it gives me a bit of confidence. For him, it's an advantage because he gets a second chance, and he's in another final. He's played some great tennis since we've played. I still believe his confidence is slightly higher than mine with the amount of success he's had this year." "I've lost against Roger three times this year. When he's on, it's hard to play him," said Djokovic, who has also beaten Federer four times in 2015, all in finals. "We always play matches with a lot of tension. There is a lot at stake. I know I have to be on top in order to win against him. Hopefully I'll be able to play better than I've done a few days ago." 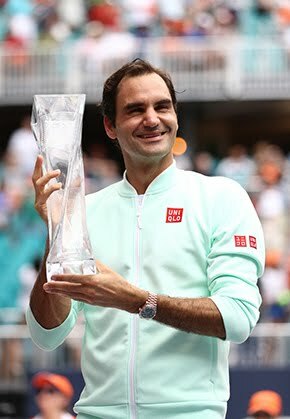 The last time a player avenged a loss in round-robin play with a victory in the final was back in 2005, when Argentine David Nalbandian fell to Federer 6-3, 2-6, 6-4, then came back to defeat the Swiss for the title 6-7(4), 6-7(11), 6-2, 6-1, 7-6(3). In a re-match of the 2014 semi-finals, the bearded Federer held his serve at love to open the match, but was broken in the fifth game as Wawrinka moved ahead 3-2. But a loose service game from the 30-year-old Swiss allowed Federer back in the set at 4-all. Another break with his opponent serving at 5-6 would give Federer a one-set lead. The 34-year-old maintained that momentum in the second set, racing out to 3-0 and never looked back. He would finish with 30 winners to 19 unforced errors in the one-hour and 10-minute win. "A great match, I really enjoyed it," Federer said afterwards. "It will be a perfect ending only if I win. He played a great match against Rafa... and I'm sure it will be a fantastic meeting." Federer now owns a 264-63 record indoors - the best career mark among active players. By winning all three of his round-robin matches in Group Stan Smith, Federer guaranteed that he will finish as the Swiss No. 1 for the 15th straight season in the ATP Rankings. With Andy Murray’s elimination on Friday, Federer can pass the Brit and reclaim the No. 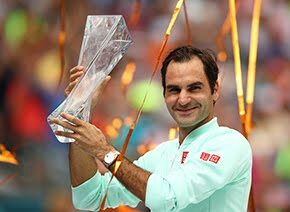 2 ranking by winning his seventh ATP World Tour Finals title. If he loses Sunday’s final, Murray will be the year-end No. 2 for the first time in his career. Even if Federer wins the title, Murray can still end 2015 as the World No. 2 if he wins two live rubbers in singles during the Davis Cup final Nov. 27-29 (adding 150 ranking points). Wawrinka closes the 2015 season at a career-best 55-18 and will finish in the Top 10 in the ATP Rankings for the third straight year. He won a career-high four titles, including his second Grand Slam crown at Roland Garros. 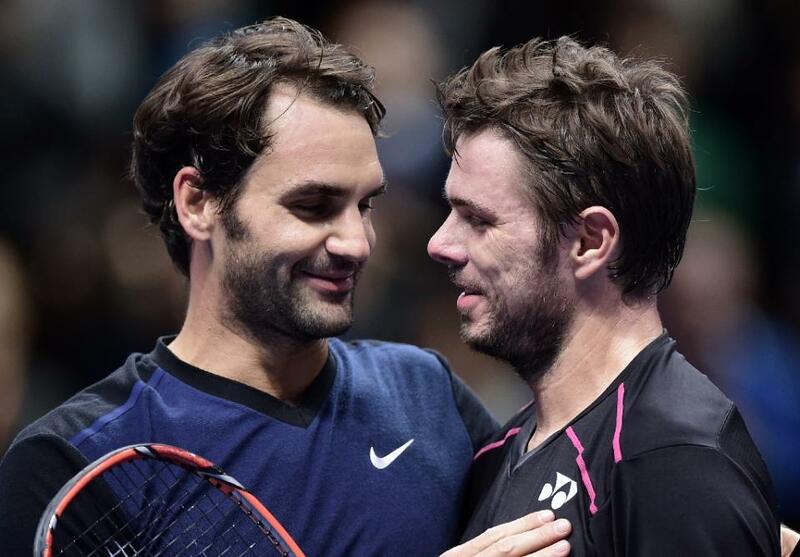 ''Roger has the perfect game against my game,'' said Wawrinka. ''If you look today, it's not that I play really bad. I'm not tough enough mentally with myself, I'm not completely there. "The year was amazing," said Wawrinka. "I didn't expect to play that well, to be here tonight, honestly, being No. 4, winning a Grand Slam, semi-finals here again. I couldn't expect more. I won two titles for the first time in my career - one of them the French Open, beating the No. 1 player. I made the semi-finals at the US Open, Australian Open; quarter-finals at Wimbledon. I was quite consistent at the highest level. I beat so many top guys. The year, it was amazing for me."